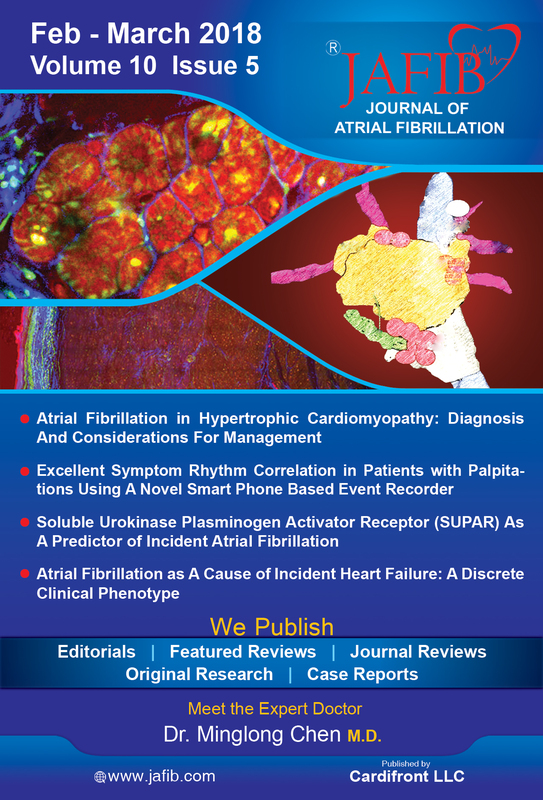 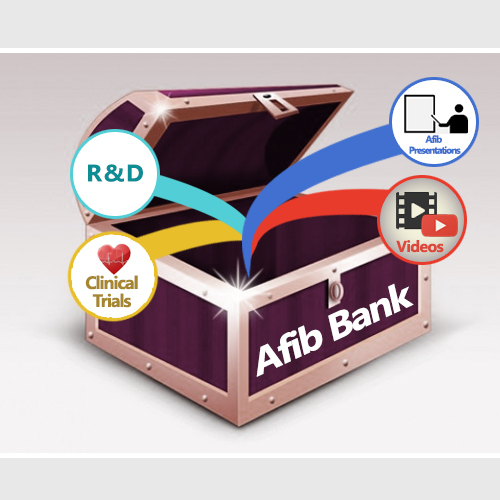 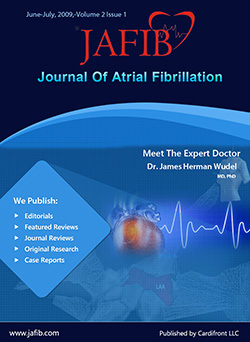 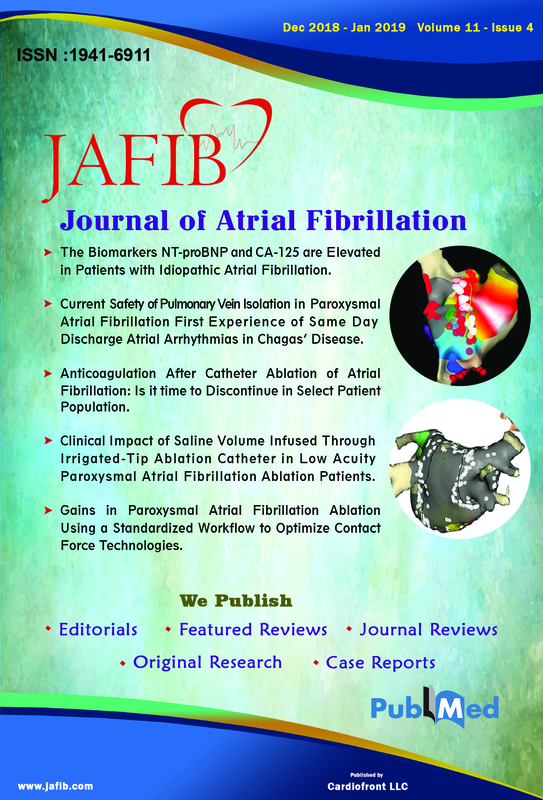 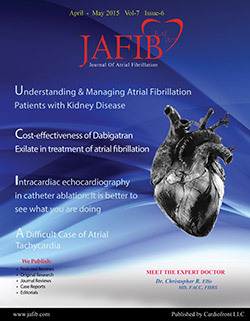 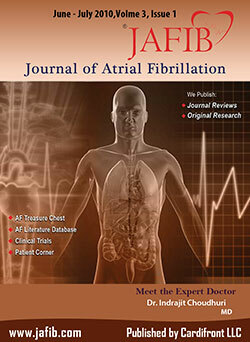 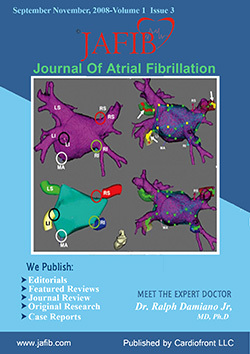 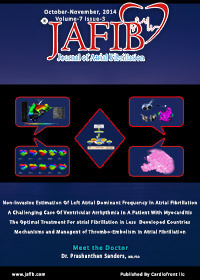 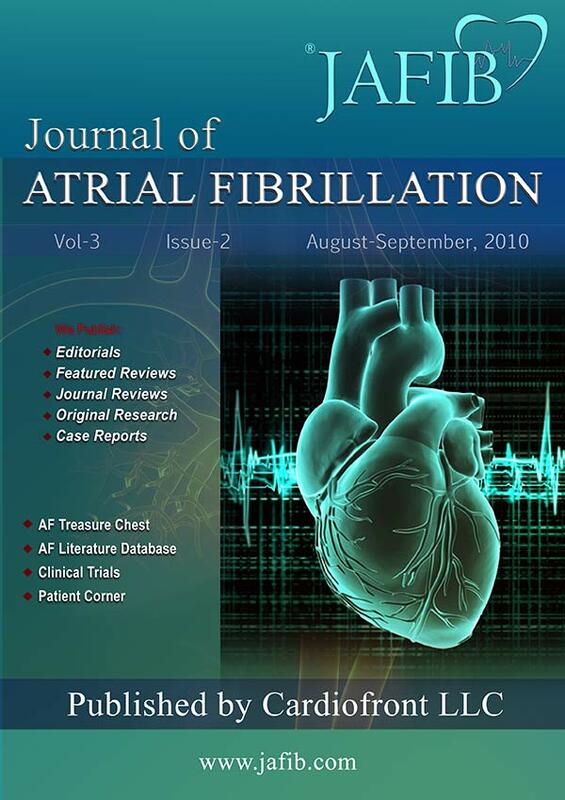 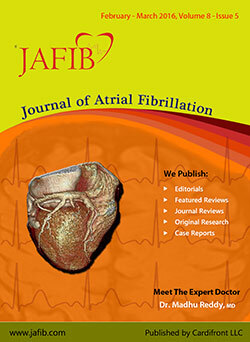 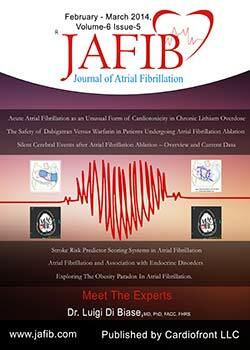 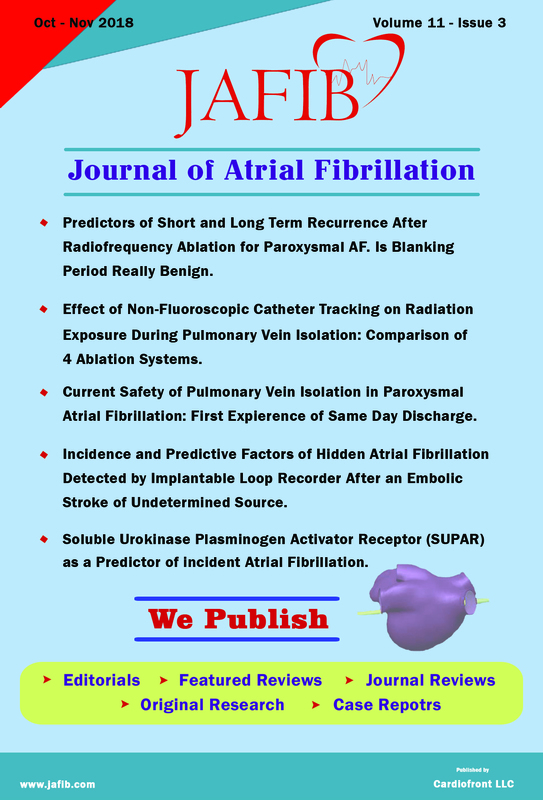 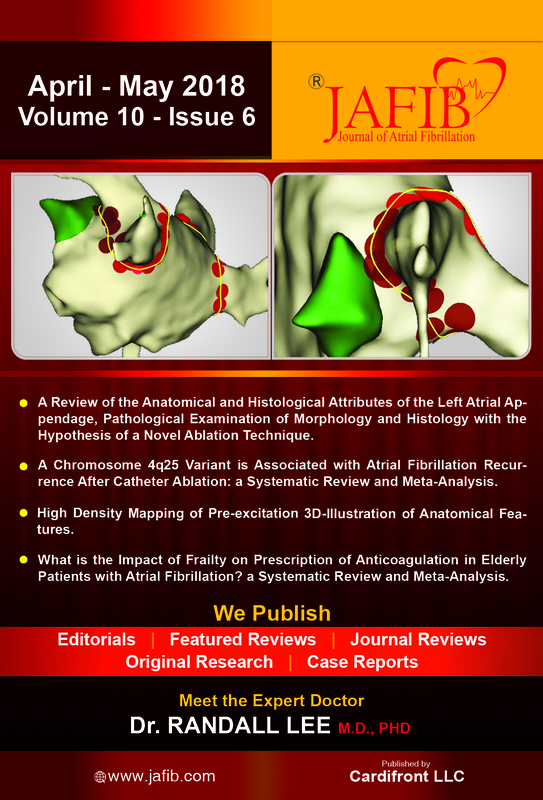 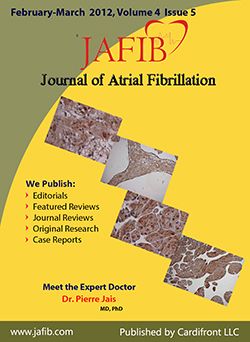 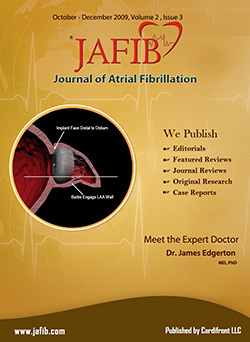 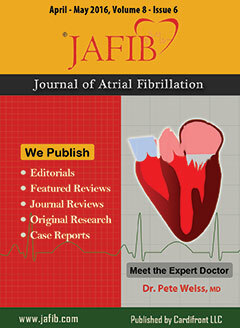 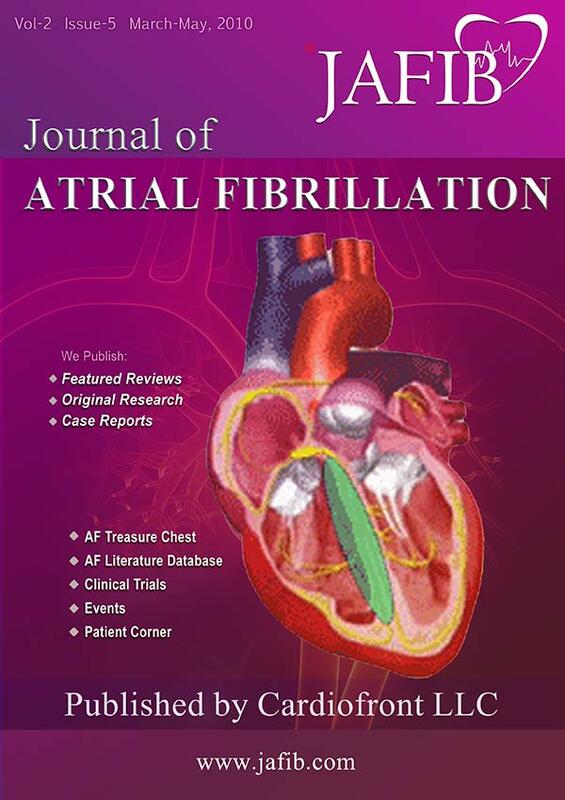 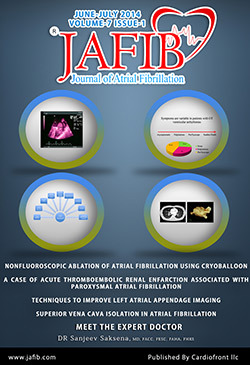 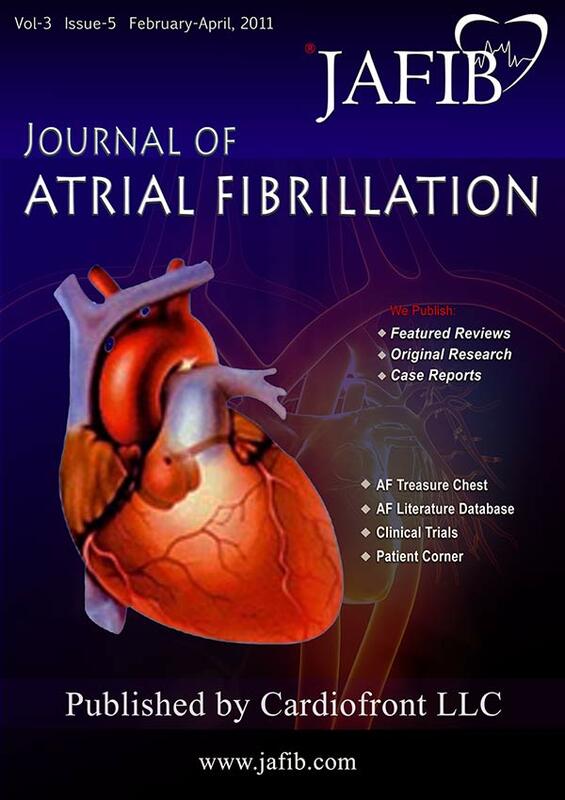 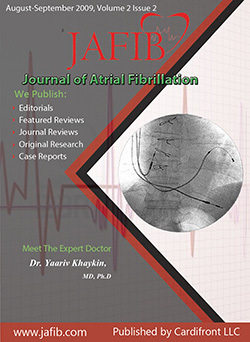 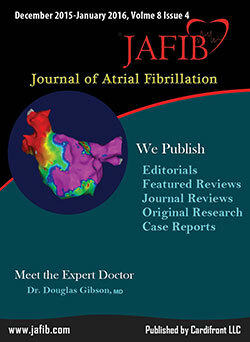 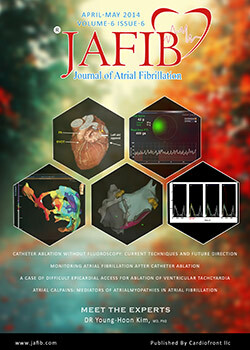 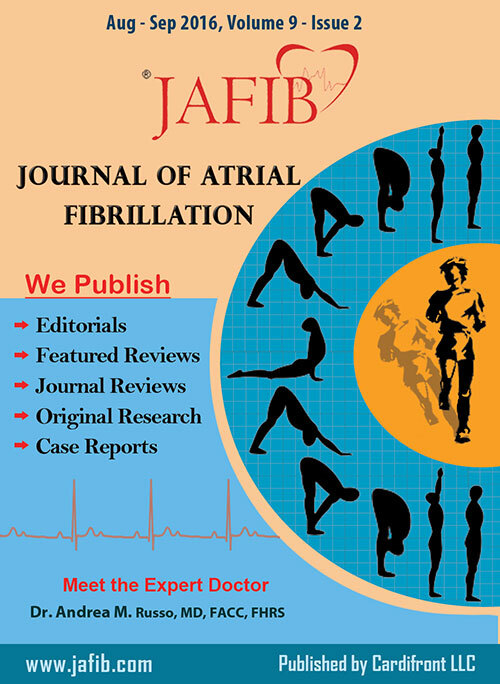 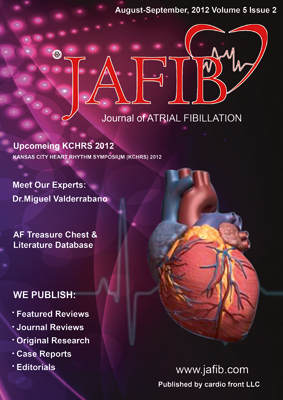 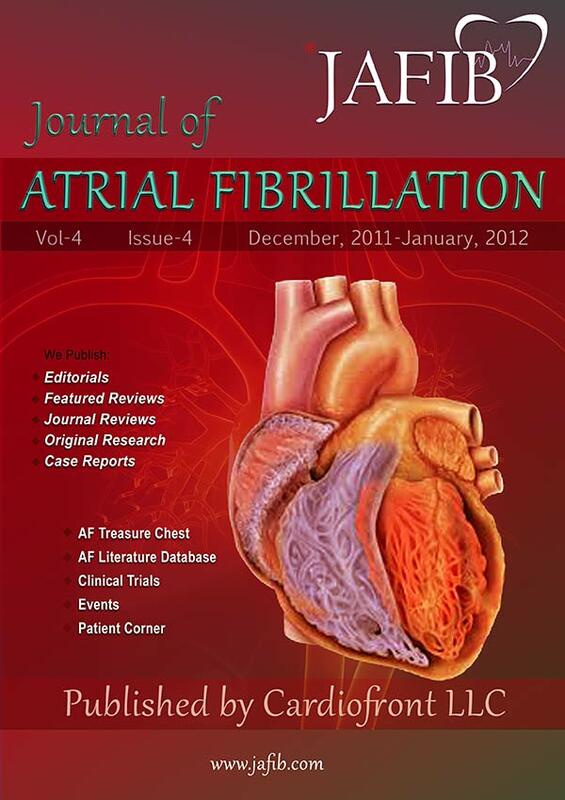 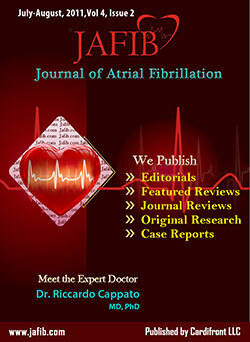 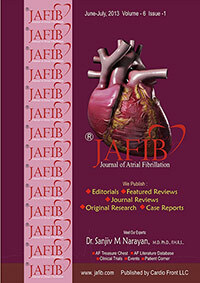 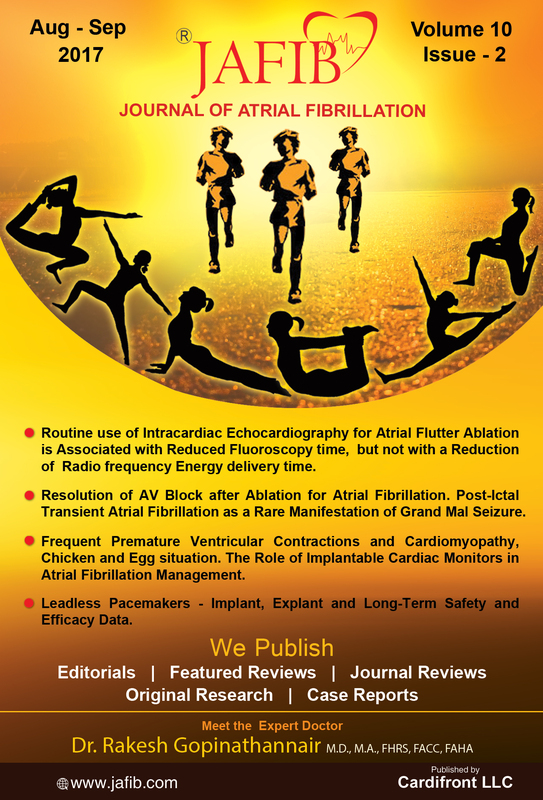 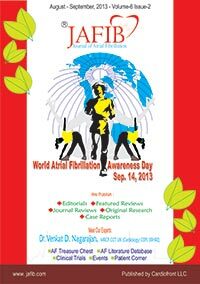 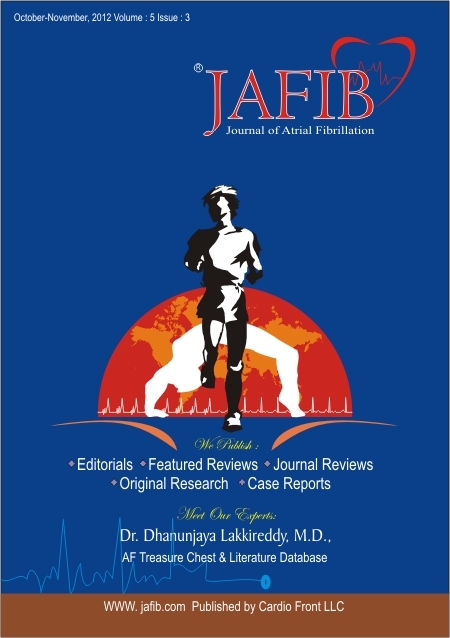 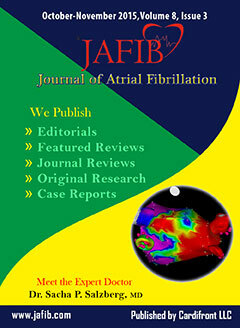 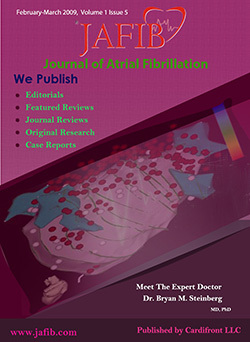 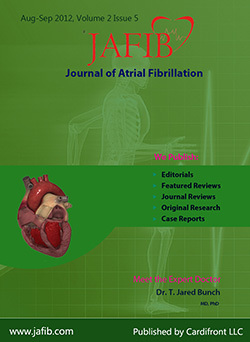 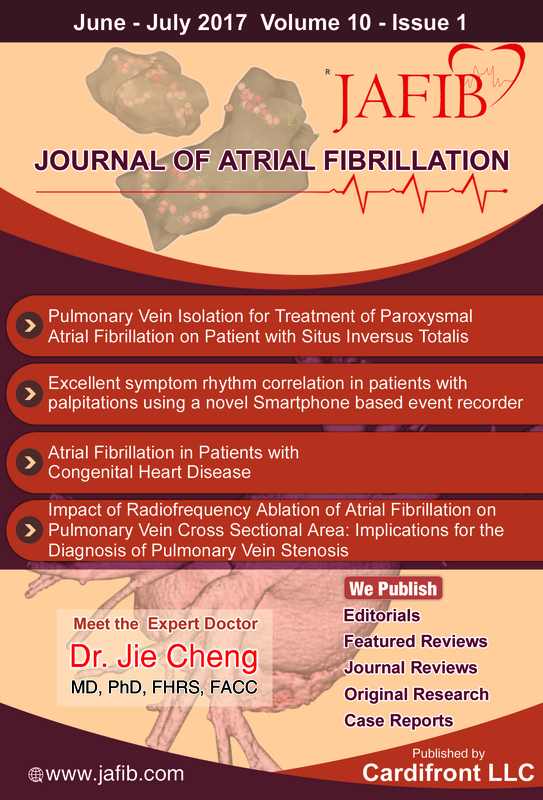 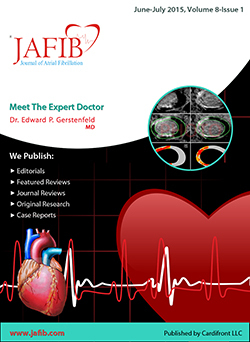 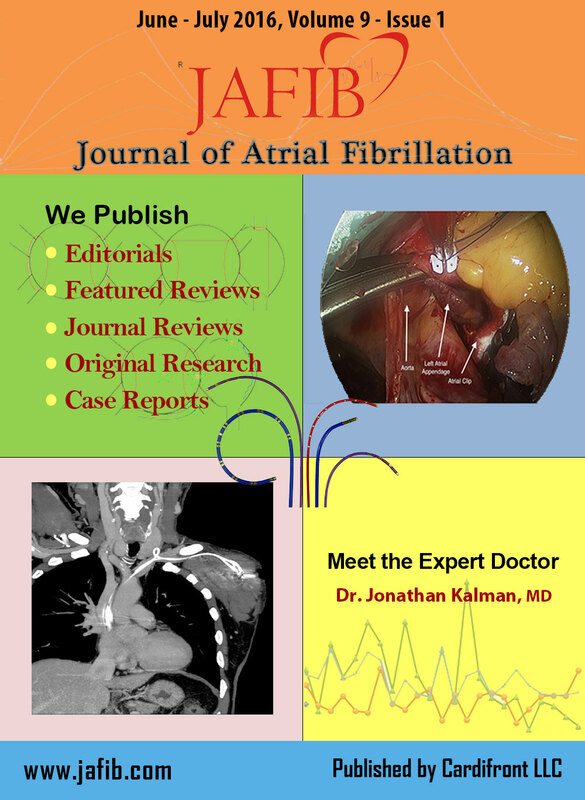 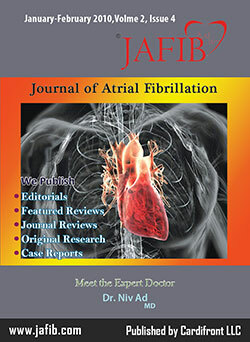 Journal of Atrial Fibrillation (JAFIB) is an open access journal with a special focus on physician and patient education. 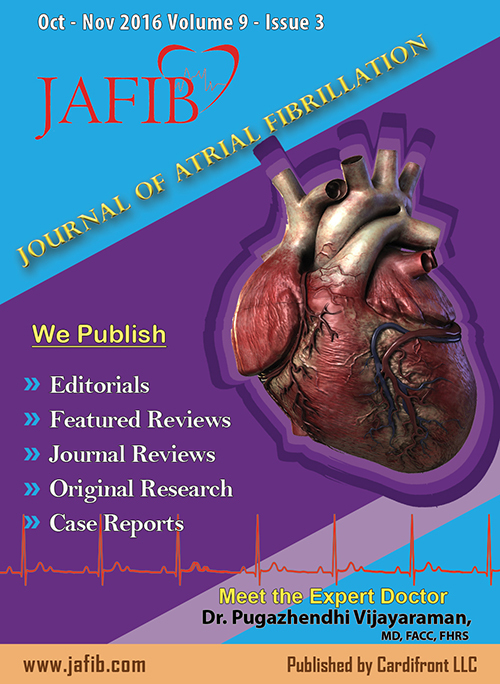 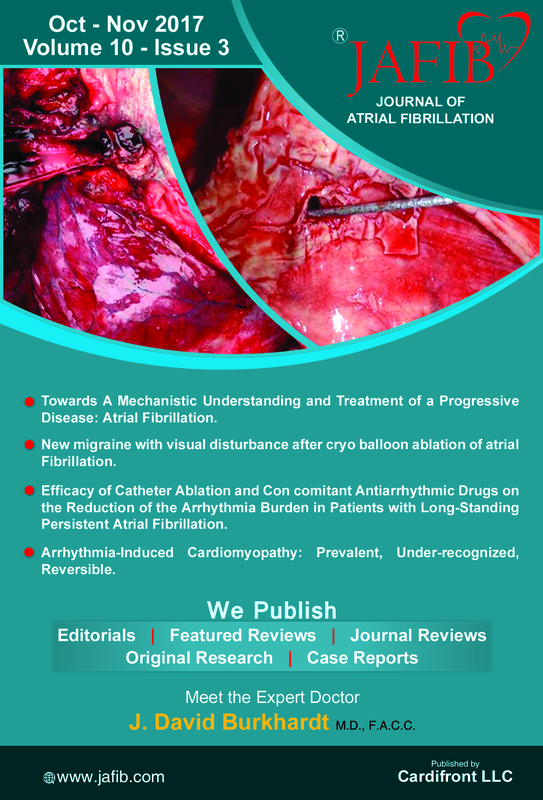 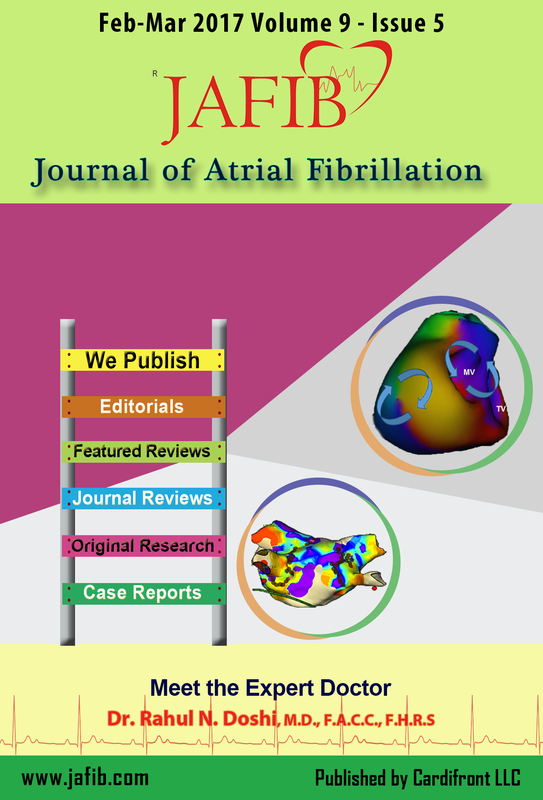 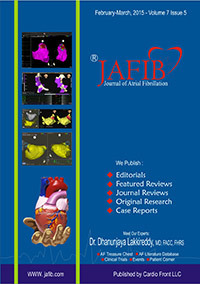 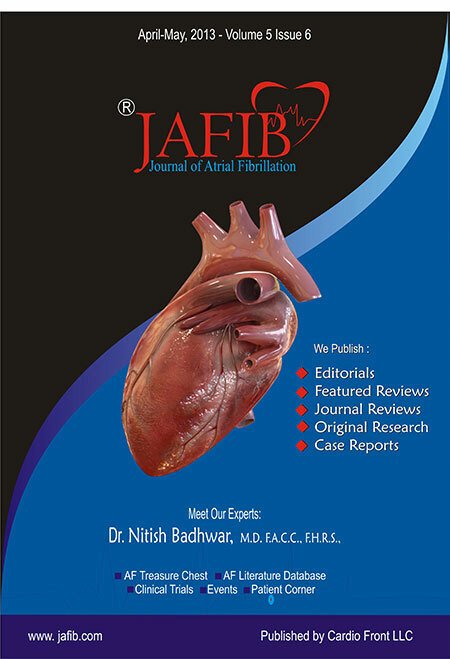 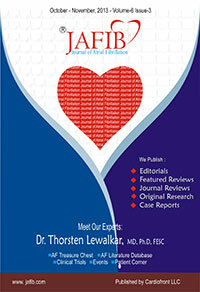 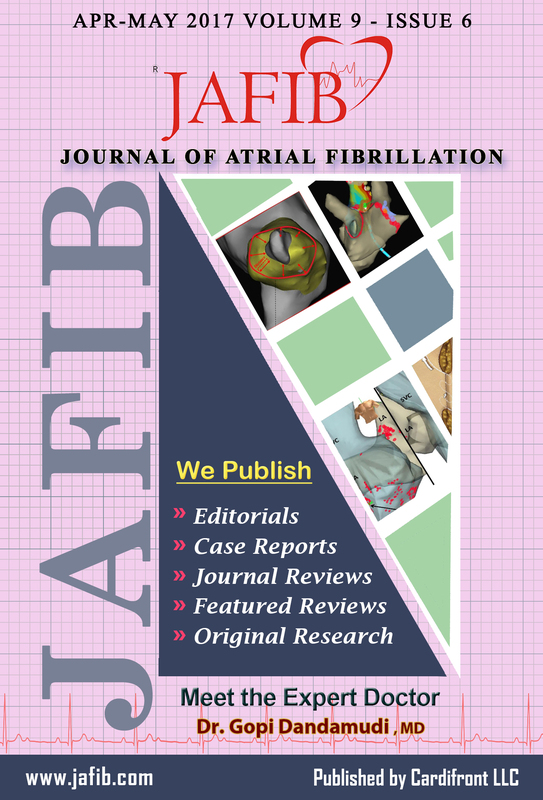 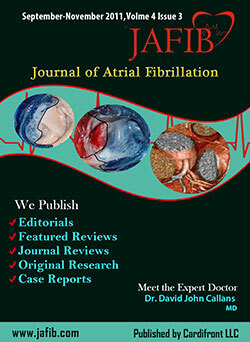 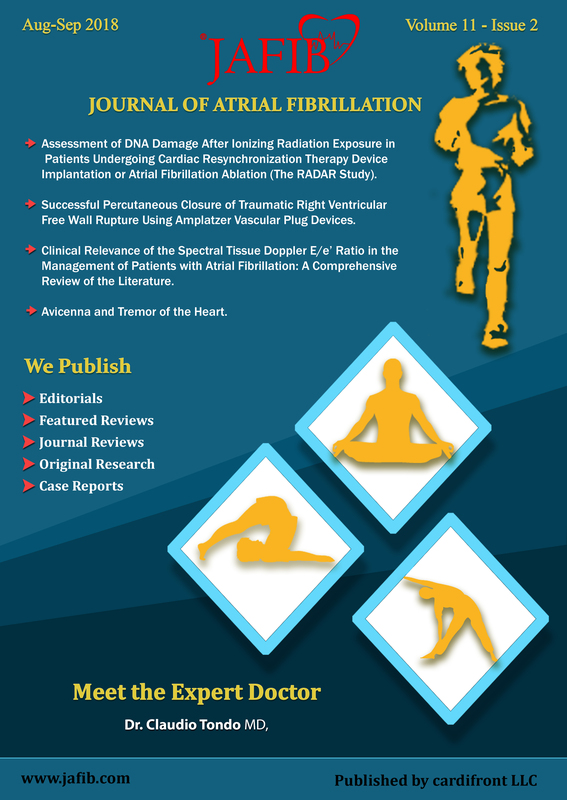 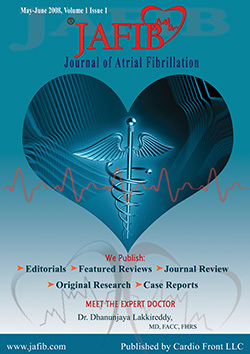 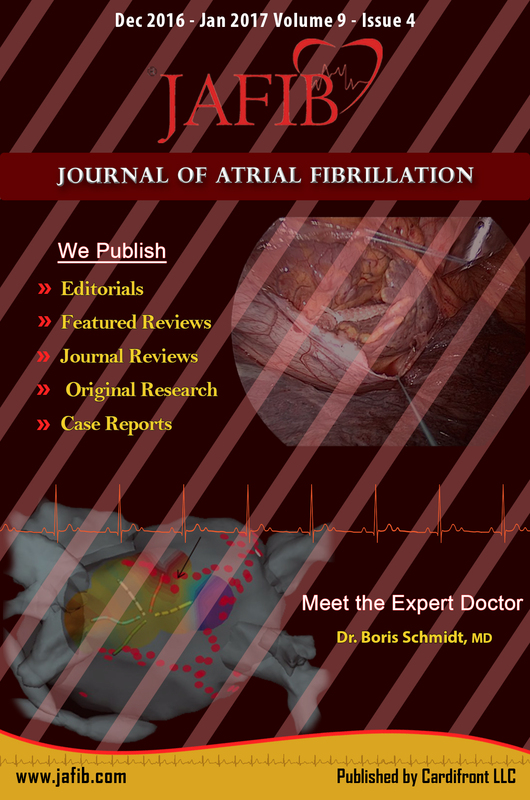 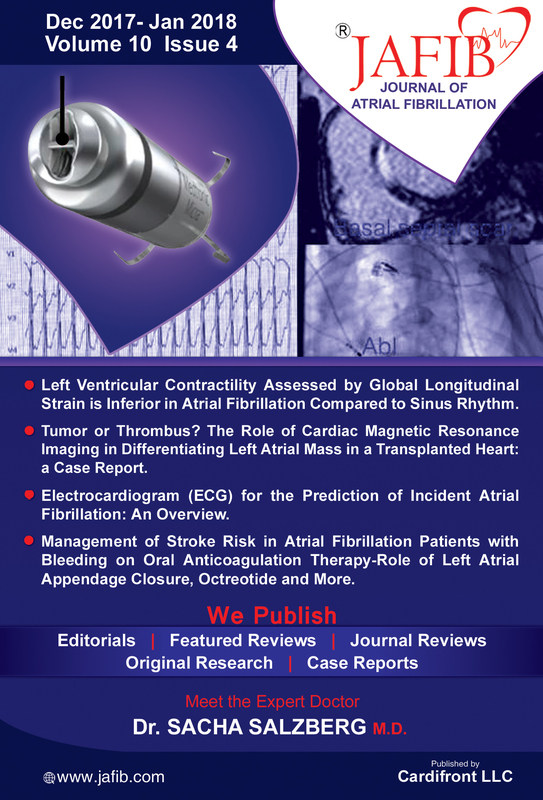 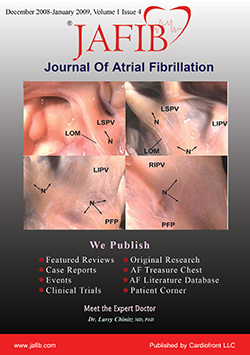 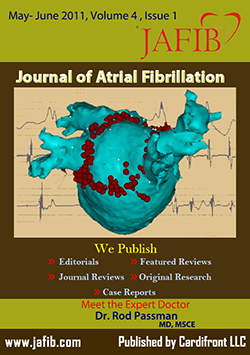 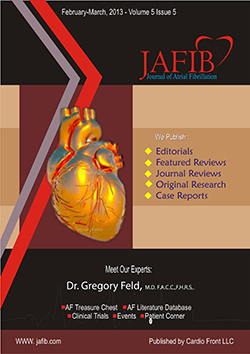 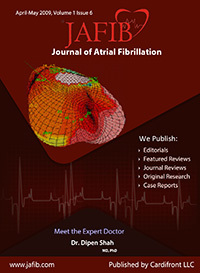 JAFIB publishes Featured Reviews, Original Research, Case Reports Journal Reviews and Editorials on atrial arrhythmias or any other interesting cases related to electrophysiology. 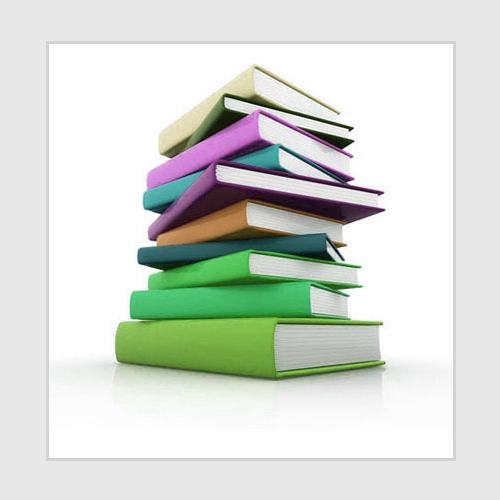 Propensity-Score Matching: Optimal, Adequate, or Incomplete? 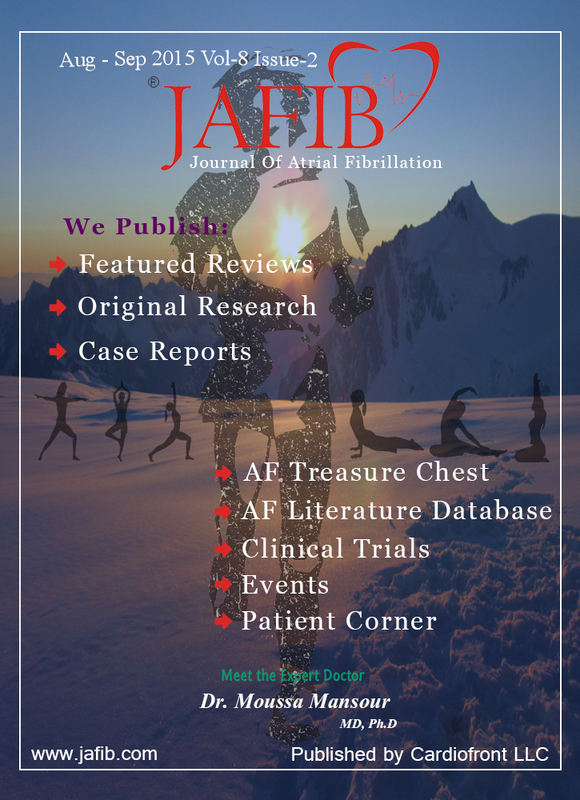 JAFIB publishes Featured Reviews, Original Research, Case Reports Journal Reviews and Editorials on atrial arrhythmias or any other interesting cases related to electrophysiology. 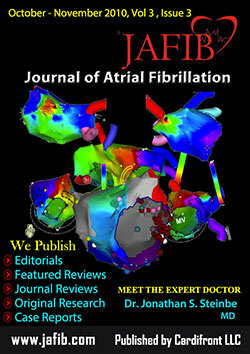 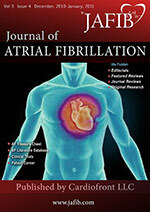 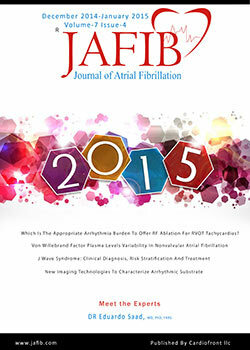 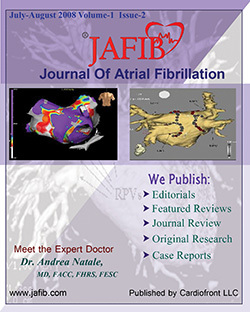 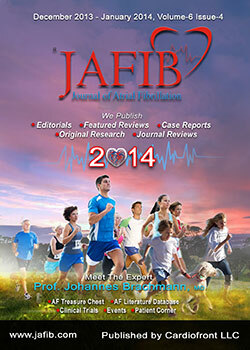 JAFIB publishes Featured Reviews, Original Research, Case Reports Journal Reviews to electrophysiology. 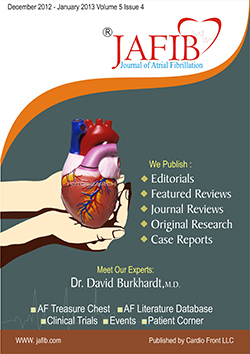 You can participate in peer review to present the articles in a most comprehensive passion and reach 50,000 readers all around the world. 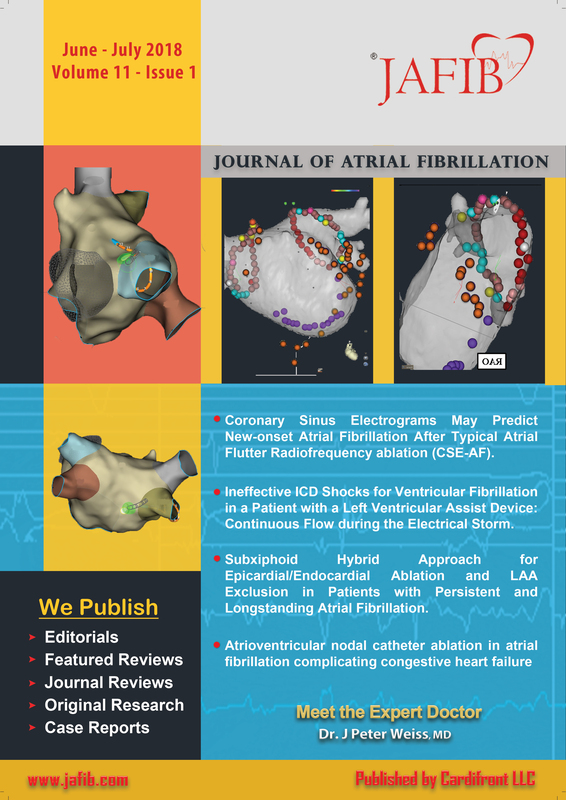 This has enabled easy access to relevant information for thousands of cardiologists and electrophysiologists around the world and had the most online downloads from the users. 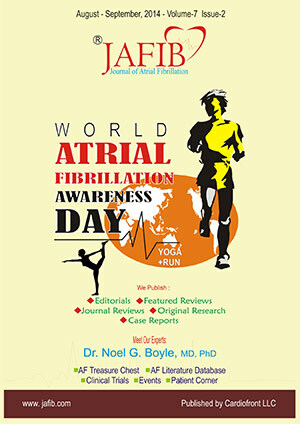 If you think you may have atrial fibrillation, it is critical that you make an appointment with your doctor. 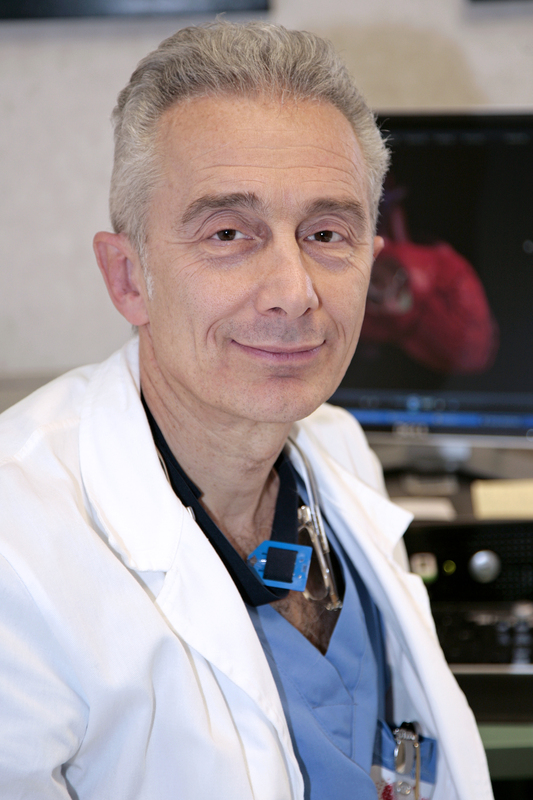 Your treatment may be easier and more effective. 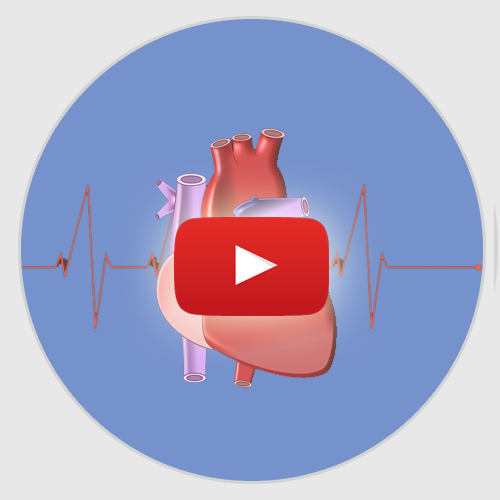 However, you may be referred to a doctor trained in heart conditions. 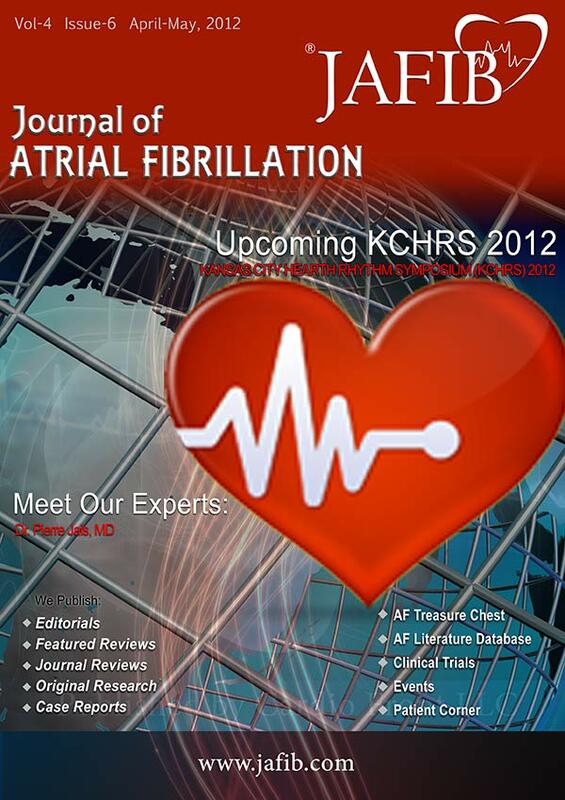 You can Meet World Famous EP Specialists and get solutions to your AFib related problems.